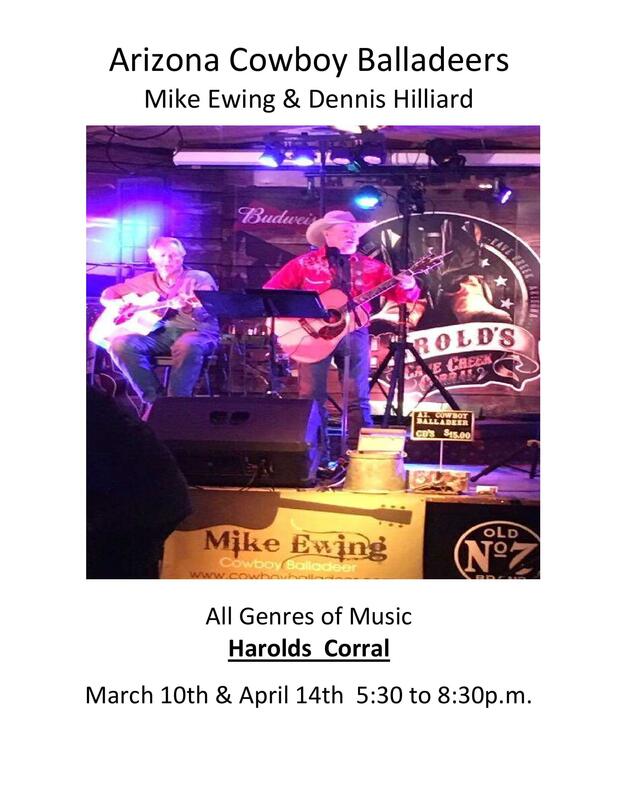 Join us on Sunday, March 10th for live music by Mike Ewing & Dennis Hilliard! From 5:30pm-8:30pm! Call 480-488-1906 for reservations on the dance floor!